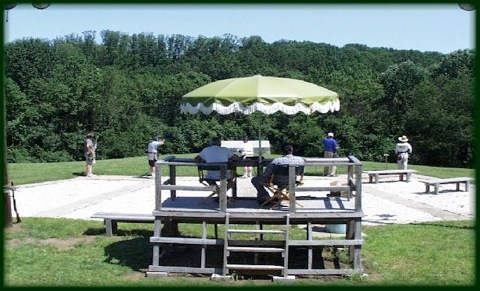 The Shotgun Sports Committee operates the Trap Range for both 16 yard and handicap shoots. A patterning board is also available. 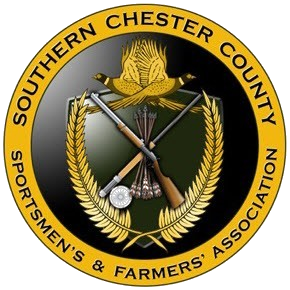 Please contact shotgunsports@sccsfa.org if you have interest in a shoot. 1.Maintain muzzle control at all times. 2.No handling or uncasing of firearms when people are down range. 3.An uncased shotgun must be in use on the firing line or in the racks, unloaded with the action open where possible. 4.When moving with a firearm have the action open, muzzle pointed straight up. 5.No moving when firearm is loaded or action is closed (muzzleloaders capped only on the line). 6.Load only on the firing line. 7.Actions may be closed only when it is your turn to shoot. 8.Be sure range is clear before shooting. 9.Shooting toward the lake or any buildings is not allowed. 10.Small shot only on the trap range (#6 or smaller). Single projectiles or larger shot are not allowed. 11.Single projectile rounds are to be discharged ONLY on the 25, 50, 75, or 100 yard ranges. 12.No shotguns may be used on the 15 yard range. 13.All shooting shall be in front of the light poles. 14.Only clay birds thrown by portable throwers, Hand throwers, or the association machine may be shot on the trap range. 15.Pick up all empty shells. 16.Help keep the area clean at all times.